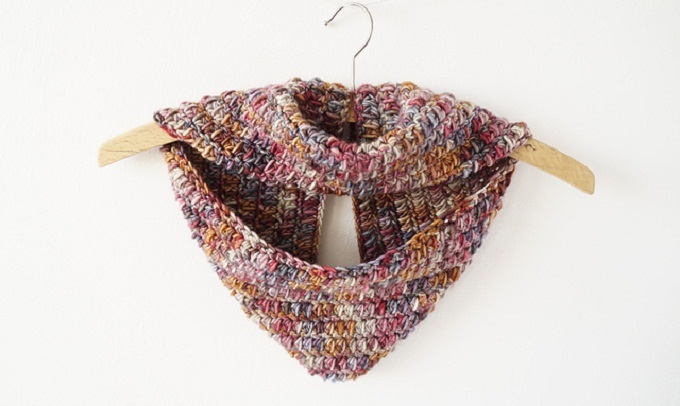 Crochet cowl is a perfect accessory that can tie together any outfit. As usual crochet cowl patterns are versatile and fashionable. Peeking out of a jacket or sweater, they make your outfit more interesting and eye-catching. They also make great gifts, you can give them to anyone, from the smallest babies to the toughest men, just by adapting the design a small bit for fit and style. That’s why we love these accessories so much and that’s why today, we will be teaching you how to crochet this gorgeous one skein cowl in the easiest possible way. You’ll just need to follow the free crochet pattern by Little Doolally and try to make each and every stitch according to the easy instructions. Please, enjoy your crafting and always feel free to share your opinion and impressions with us in a comment section below. Good luck and happy crocheting. Learn how to crochet fancy and elegant One Skein Cowl using a beginner level free crochet pattern. Just download the step by step crochet instructions and make this beautiful cowl for yourself or for anyone dear to your heart. Trying to find out what color of yarn was used on the one skein cowl. Any ideas?